Kacey Mottet-Klein växer fram som en modern James Dean i detta starkt laddade drama om en sargad mor och son som korsar kirgizistanska stäppen till häst. Sybille tvingar med sin tonårige son Samuel på en tuff resa för att få honom att halka tillbaka på rätt spår i livet. Samuel bryr sig bara om musik och hästar och när han inte uttrycker sin frustration med våld gör han det med dans. Sybille själv har kistan full av demoner; den största är hennes svek mot sonen. Festivalfavoriten Lafosse (Our Children, GFF 2013, The White Knights, GFF 2016) westernfierar sitt kammardrama och låter huvudpersonerna konfronteras med varandra och det andlöst vackra, men hotfulla landskapet. Den spända stämningen går att ta på, liksom varje skiftning i naturen känns i kroppen. Dessutom: Virginie Efira och Mottet-Klein presterar i absolut toppklass. Joachim Lafosse was born in 1975 in Brussels. 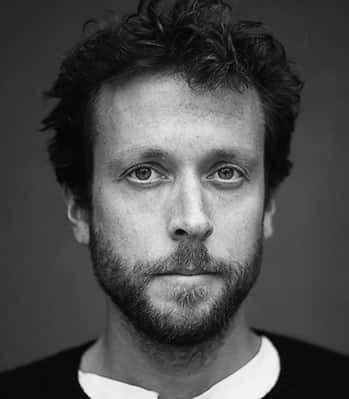 After graduating from the IAD, he directs in 2003 his first feature film, FOLIE PRIVEE, selected in official competition at the Locarno Film Festival. His latest work KEEP GOING (CONTINUER), featuring Virginie Efira and Kacey Mottet-Klein, premiered in Venice in 2018. When I finished reading Laurent Mauvignier’s novel, I could not keep myself from wondering if the journey I had just experienced was not one I should take with my own mother. I’m 42 years old and for the first time I felt that urge. I did not feel the immediate desire to adapt the book, perhaps it was too intimate. Would I dare go there? Later on, while having a discussing about the book, I found myself standing up with all my might for Samuel, the son. I heard myself say that he was also suffering from his own violence and that he was not only aggressiveness. The following day, I initiated the process of making my own adaptation of the novel. Laurent Mauvignier then introduced me to Virginie Efira who was drawn into his story just as much I was. Our desires came together. The screenplay took shape. My producers and I discovered that we all shared a firm belief that this journey should not only be my own, but a journey for everyone... whether mother or son. And as JB Pontalis beautifully writes "There is a mystery between sons and their mother. A boy has a hard time linking the mother and the woman. We try to explain things, we talk about the body, desire, jealousy of the father, but it’s just a way of organizing our ignorance. The unanswered question is: what are our mother’s dreams? " KEEP GOING is my way, through cinema, of sharing this mystery with you. 2016 After Love, Feature; 2015 The White Knights, Feature; 2012 Our Children, Feature; 2010 Avant les mots, Short; 2008 Private Lessons, Feature; 2006 Nue propriété, Feature: 2006 Ça rend heureux, Feature; 2004 Folie privée, Feature; 2001 Tribu, Short.